If you’ve carried out alterations to your property and you are now trying to sell your home then you might find that your lawyer has asked you for the completion certificate for the alterations. If you don’t already have a building warrant for your home in Lanarkshire then we can help you. There are late building warrants that can be applied for when work has been carried out without the required consents. When you contact us you can arrange for us to come out to your home in Lanarkshire. 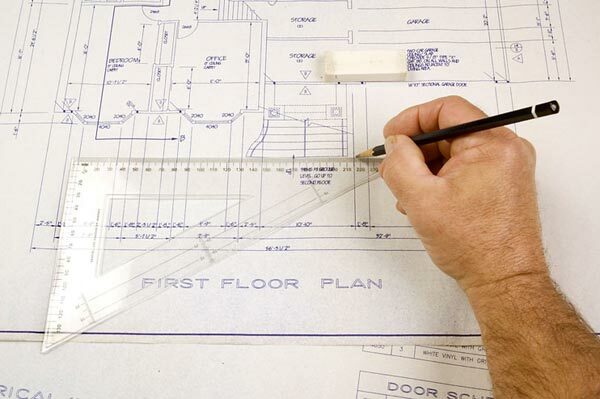 At this point we will carry out a full measurement survey of your home and will produce a set of “existing scale drawings” and a full set of “proposed scale drawings”. We will then accompany them with the ordnance survey map that highlights your property and you’ll then be able to complete the council’s application form and submit all of the information for review. This takes around 4 weeks for the council to review and then they’ll arrange to carry out a site inspection, this is then followed by the release of the completion certificate. Please note – When we are carrying out the building measurement survey there is a chance that we might highlight any areas of concern that might need attention before the council carries out the final inspection of your property. The benefit of this is that it will prevent any un-due delays with the release of the completion certificate. You can expect us to keep you up to date with all developments while your late building warrant application goes through. Just give us a call on 0800 520 0347 to arrange for us to come out to your home in Lanarkshire to discuss a late building warrant.